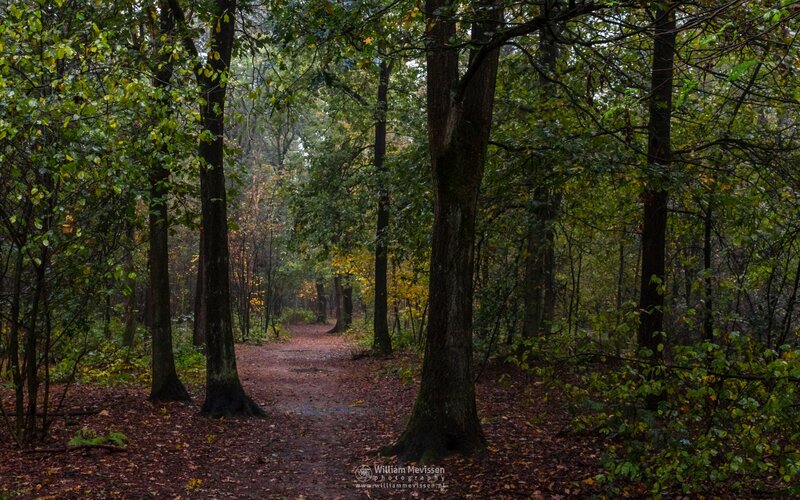 Its getting light in the forest on a cloudy and rainy autumn morning in nature reserve Vlakwater in Venray (Netherlands). Click here for more information about photo 'First Light'. 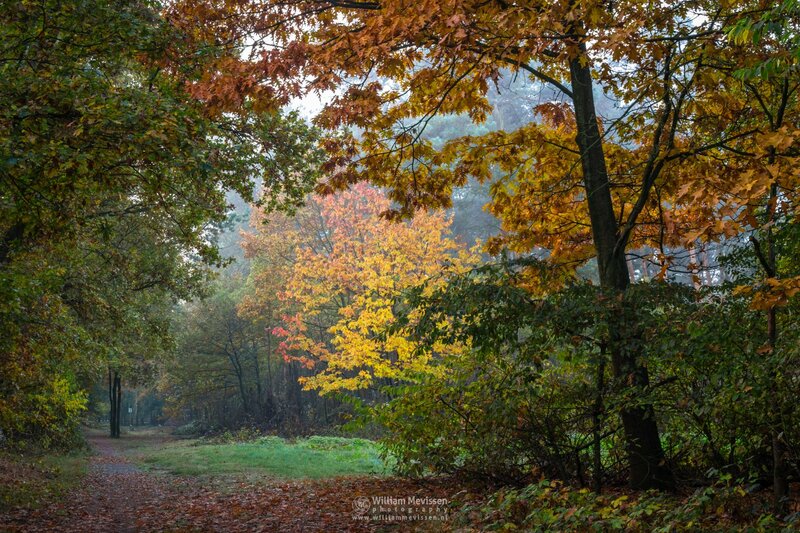 Beautiful autumn colors in nature reserve Vlakwater in Venray (Netherlands). Click here for more information about photo 'Autumn at Vlakwater'. 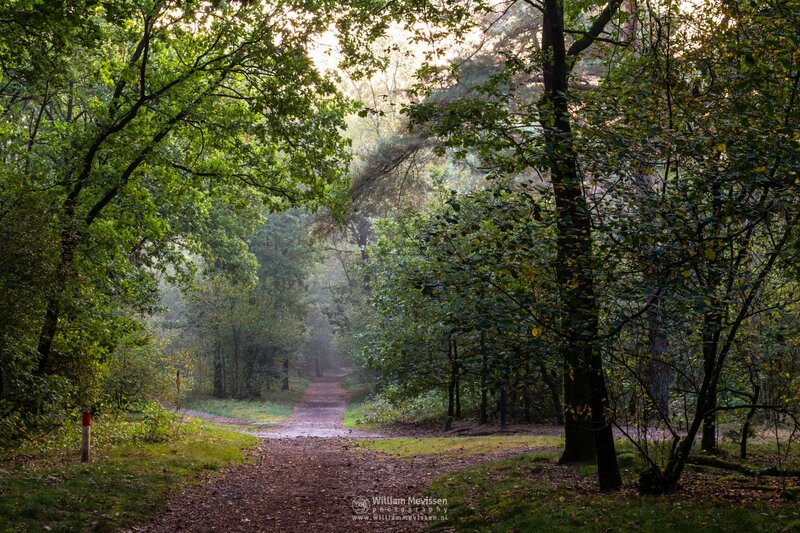 Vlakwater is a 50 hectare nature reserve west of the center of Venray. 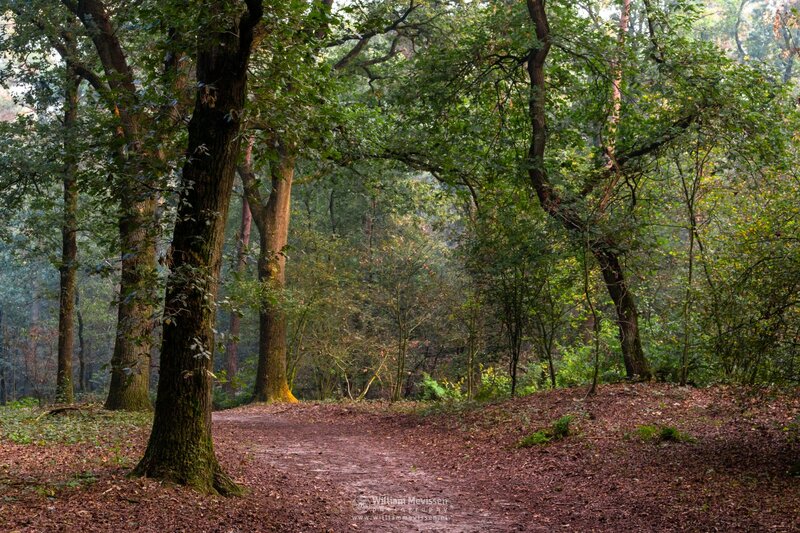 It is a former shifting sands area which was planted with pine trees late 18th century. 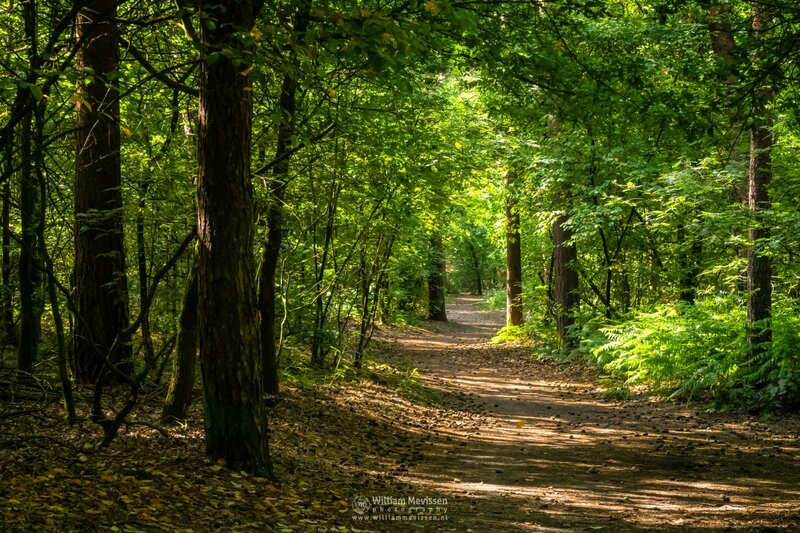 The area is owned by the municipality Venray and managed as a city forest.